Do you want to know How to get Secret PIN to Update Aadhaar Address? In the article, you know all about Secret PIN to Update Aadhaar Address. The UIDAI (Unique Identification Authority of India) is going to launch a new service of Secret PIN to Update Aadhaar Address from April 1, 2019. It will help people to update their address in Aadhaar easily at any place within a minutes. Under the proposed system, residents without an acceptable proof of address may submit their request for address verification through the Aadhaar letter with a PIN. It will be a big relief for Aadhaar card holders staying in rented accommodation and not possessing a valid proof of residence of the current location. According to the Aadhar body, the pilot project will start from January 1, 2019 . The secret code sent by the UIDAI will be on lines of those issued by banks for activation of debit and credit cards. The Secret PIN to help Update Aadhaar Address in the letter can be used by the person to opt for verifying his/her address. #1: Submit the request for address verification through Aadhaar letter having a secret PIN. #2: On receiving the letter, the resident can use the secret PIN to update the address. #3: Visit UIDAI’s Aadhaar Self-Service Update Portal (SSUP). #4: Login with your credentials. 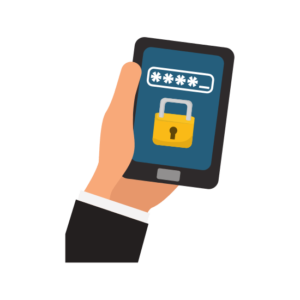 #5: Since the address change is based on OTP verification system, it is mandatory to have your registered mobile number with you to receive the password to log in and enter the secret PIN. If you have any doubt related secret pin? You can raise your question in comment box.